How Are Retail Credit Cards Treated in Bankruptcy? How Are Store Credit Cards Treated in Bankruptcy? Credit cards are not always treated as unsecured debt in bankruptcy. An unsecured debt is not backed by collateral, unlike loans for a vehicle or home. Secured credit cards are most often used for purchases in stores, such as Best Buy. Furniture shops and other department stores may also offer secured cards, using any purchases as the collateral. In the event of non-payment and default, these stores that offer secured cards could repossess the property. As these secured cards are backed by collateral, they are therefore not treated like a typical unsecured credit card in bankruptcy. Depending on whether you file for Chapter 7 or Chapter 13 bankruptcy, secured debts can be treated differently. This is an important fact to remember if you want to keep the property. Can You Keep Property Bought with Store Credit Cards? Chapter 7 bankruptcy: If you file for Chapter 7 bankruptcy, you may keep secured property by reaffirming a debt. When you reaffirm a debt in Chapter 7 bankruptcy, you strike an agreement with your creditor to continue making payments. This can be for the entire debt or a portion of the remaining debt. If this is a store credit card, your creditor may agree not to repossess the property backed by the debt. Chapter 13 bankruptcy: You can continue making payments on secured debts (including store credit cards) under a Chapter 13 bankruptcy payment plan. The payment plan can last for up to five years. Other options may exist for keeping property. By contacting an attorney, you can explore additional options for keeping property with or without filing for bankruptcy. 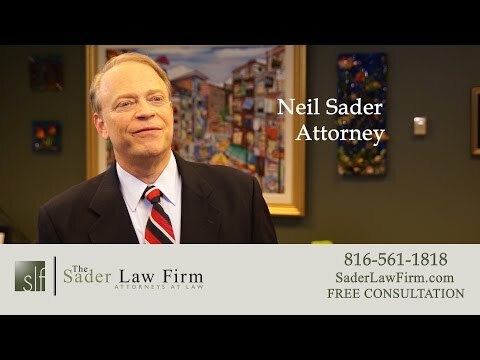 The Kansas City bankruptcy attorneys at The Sader Law Firm can help you discover options for keeping property and managing difficult financial situations. ← Looking for Cheap Veterinary Care Near Kansas City?